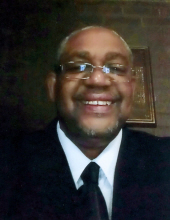 Charles R. Harris age 54, passed away on Wednesday, January 30, 2019 in Fairfield, Ohio. He was born January 31, 1964 in Princeton. He is survived by his mother, Lillian Bumphus Harris of Princeton; wife, Denise Harris of Fairfield, OH; father, Claude E. Boyd of Princeton; 5 sons, Teron Mayes and wife, Roxanne of Dothan, AL, Charles Anthony Cain and wife, Casara of Princeton, Justin Willis and wife, Katie of Lexington, Diamante Brown of Ohio, Elijah Peppers of Ohio; 2 daughters, Shyann Holland of Hazard and Harmony Blackwell of Camarillo, CA; 3 brothers, Marcus Harris and wife, Day, Daniel Harris, and Corey Boyd and wife, Kanda all of Princeton; 3 sisters, Gloria Walker and husband, Fred of Princeton, Charlotte Boyd of Knoxville, and Cherian Brooks and husband, Kenneth of Ohio; eleven grandchildren and several nieces and nephew. He was preceded by a son, Brandon Dooley; father, Russell Harris, and brother, Russell Harris, Jr.
Visitation will be from 10:00 AM until 12:00 PM on Monday, February 11, 2019 at Morgan's Funeral Home. Funeral services will be held Monday 12:00 PM at Morgan's with burial to follow in the Cedar Hill Cemetery. A repast will be held at Northside Baptist Church after the interment at Cedar Hill. You may light a candle or leave a message at www.morgansfuneralhome.com. To send flowers or a remembrance gift to the family of Charles R. Harris, please visit our Tribute Store. "Email Address" would like to share the life celebration of Charles R. Harris. Click on the "link" to go to share a favorite memory or leave a condolence message for the family.